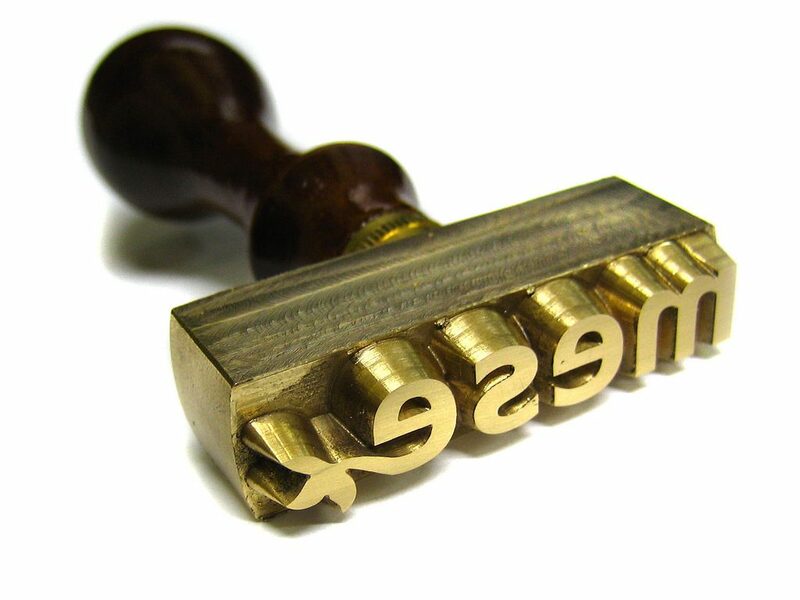 Brass stamp to mark multiple objects by pressing your wooden handle with your hand. Depending on its use, the engraving is more or less emphasized and it is manufactured in the most appropriate size. It is used to manually mark with signatures or logos handmade soaps, ceramic objects before baking, pieces of wax, candles, fresh pasta, cookies, bread, etc.